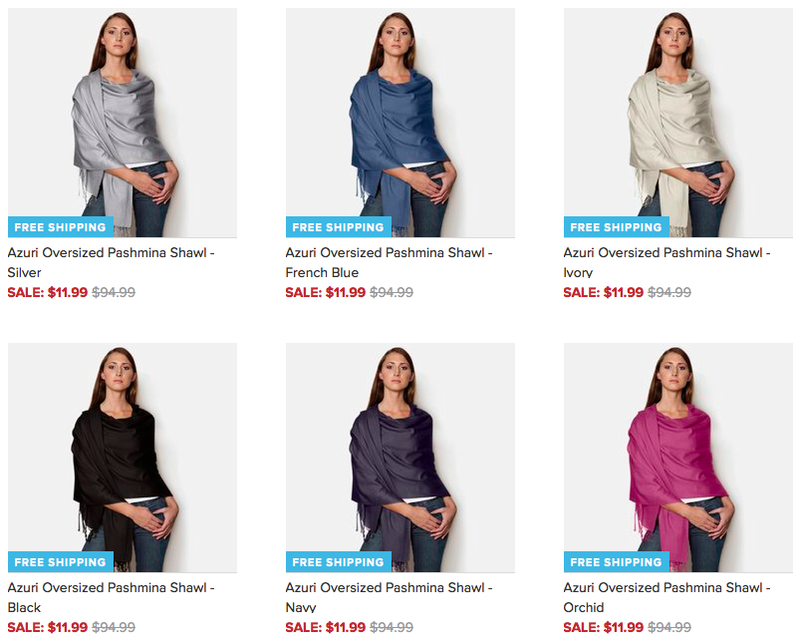 Oversized Pashmina Shawls Only $11.99 + FREE Shipping (was $95)! You are here: Home / Great Deals / Oversized Pashmina Shawls Only $11.99 + FREE Shipping (was $95)! These shawls are just gorgeous! I’m ordering the black one now – I love how versatile it is! Right now, you can snag one of these fab Oversized Pashmina Shawls for only $11.99 + FREE Shipping (was $95)! This finely woven Oversized Pashmina Shawl will keep you warm and looking incredibly polished whatever the occasion. The natural qualities of the viscose pashmina provide warmth, softness and durability while also adding elegance and beauty.